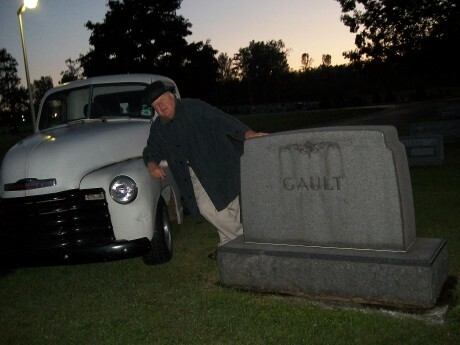 Pictured is the “ghost” of James R, Gault, Hannibal’s first Chevrolet dealer. Carol Newvine will enact the role of Mrs. John Bullen, mother of a pioneer. Saturday will be your opportunity to walk among the ghosts of the past of the village of Hannibal. 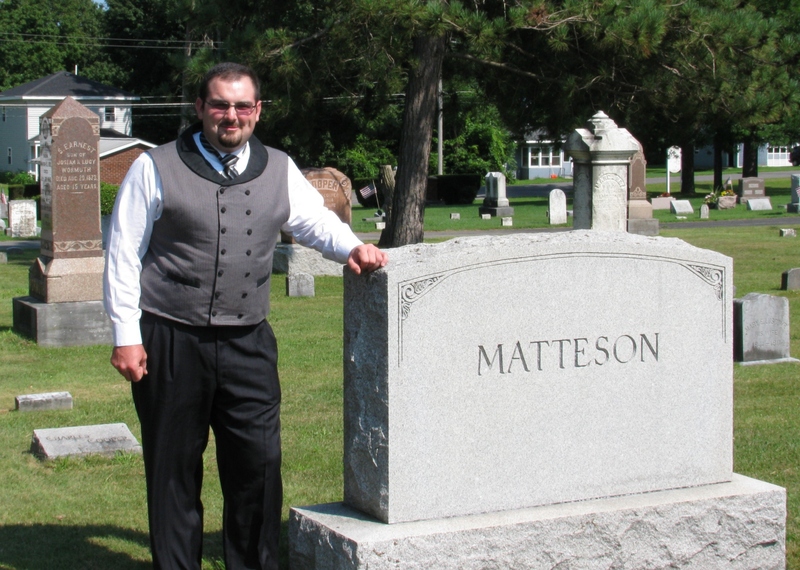 There will be a ghost walk on Saturday, September 18 at the Hannibal Village Cemetery, starting at 11:00 a.m. (For those who have a hard time walking, you can meet the “ghosts” tonight at 7:00 p.m. at God’s Vision Christian Church in the village.) Tours are scheduled to end at about 1:30 p.m. Guides will take you to meet the “ghosts” of people who helped create and grow Hannibal. You’ll meet and hear the stories of Mrs. John Bullen, the mother of a pioneer; politician and businessman Walter Matteson; James Gault, the village’s first Chevy dealer, and others. Hannibal’s Methodist Church will have food available for sale. The suggested donation for the event is $5. To reserve a specific time for the walk, contact Carol and Lowell Newvine at 564-5650 or stop in between 11 a.m. and 1:30 p.m. and wait for the next available group. Terry Wilbur portrays Walter Matteson, early Hannibal businessman.